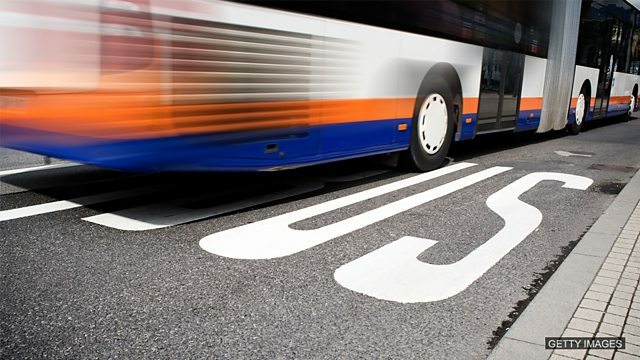 Listen to find out how to ask where and when a bus leaves. Where does the bus to Manchester go from? From stop seventeen, next to the shop. It goes in ten minutes. It goes in ten minutes! Where does the bus to Birmingham go from? From stop 10, next to the toilets. It goes in fifteen minutes. Where does the bus to Bristol go from? From stop three, next to the entrance. It goes in five minutes. It goes in ten minutes. ንማንቸስተር ትኸይድ ኣውቶቡስ ካበይ ትብገስ? From stop seventeen. Next to the shop. It goes in ten minutes! From stop seventeen, next to the shop. It goes in ten minutes! ኣብ ዝቕጽል Essential English Conversation ክሳብ ንራኸብ ድሓን ኩኑ። Bye! Where does the bus to ______ go from? ን______ ትኸይድ ኣውቶቡስ ካበይ ትብገስ? It goes in ______ minutes.